The week leading up to this race I did not sleep well. That’s not usually the case but for some reason I felt a great deal of pressure to “perform well” at this race. I think it’s a mix of internal pressure, the fact that I turned 39 the day before, or maybe knowing that there were a couple of speedy guys from out of state coming to race and I knew, #1, this wasn’t going to be easy and #2, it was going to hurt. It turned out to be a great day. 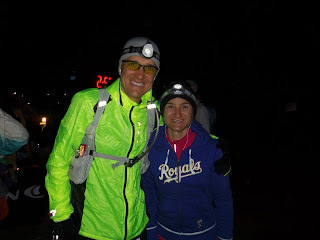 The race started in the crisp pre-dawn hours of the Oak Flats Campground 30 minutes east of Albuquerque. Jim Breyfogle, the RD did a great job putting together a fantastic course, and a solid group of volunteers. The course is brutal. It’s one of a few courses I’ve run where it’s extremely hard to get into a rhythm. 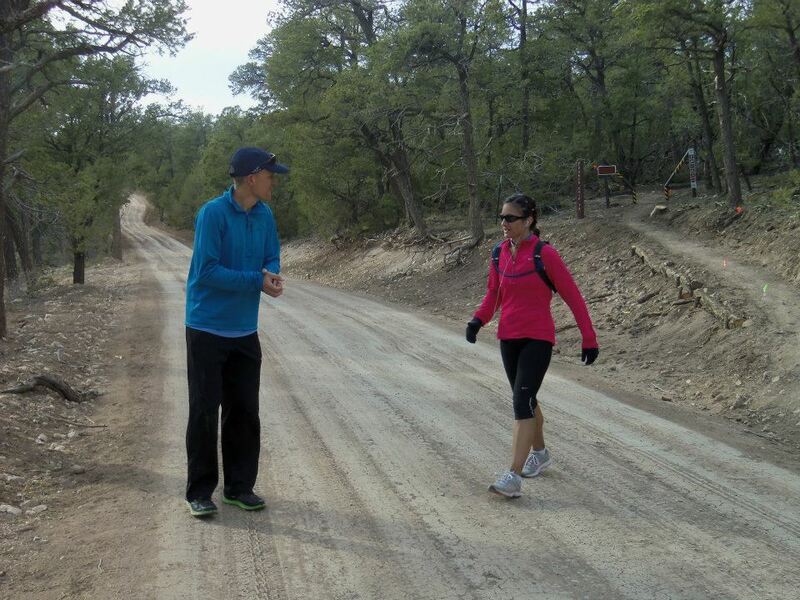 There’s about 5500’ of elevation change over the 45 miles but the terrain is really what takes it out of you. 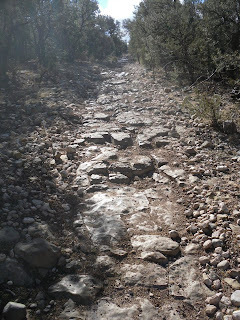 The rock and gravel is highly technical and will simply destroy your feet and body over the course of the day. It’s a course you definitely do NOT want to trip and fall on. Unfortunately, vandals grabbed all the flags and markers at a key junction about 2 miles into the race so the first snafu occurred early on. I had run the course several times prior so I told everyone to follow me but only Nick Pedatella and Donny did. That was really the last time I saw most of those guys. The eventual winner, Jason Louitt from Canada, blew by me at about the 6 mile mark (he must have gotten off track as well) and I never saw him again. He was amazing! He finished in 6:30 and change and looked like he was ready for another 50 when I saw him at the finish line an hour behind. He’s took 2nd in the World 100k championships and no doubt is going to start to mix it up with the elites in the sport this year. Things went pretty smooth for the majority of the race. I didn’t get lost, I didn’t fall, I kept hydrated, I ate, listened to ultrarunnerpodcast for the majority and just settled in for a long day. The course is deceptively easy through the first 26 miles. 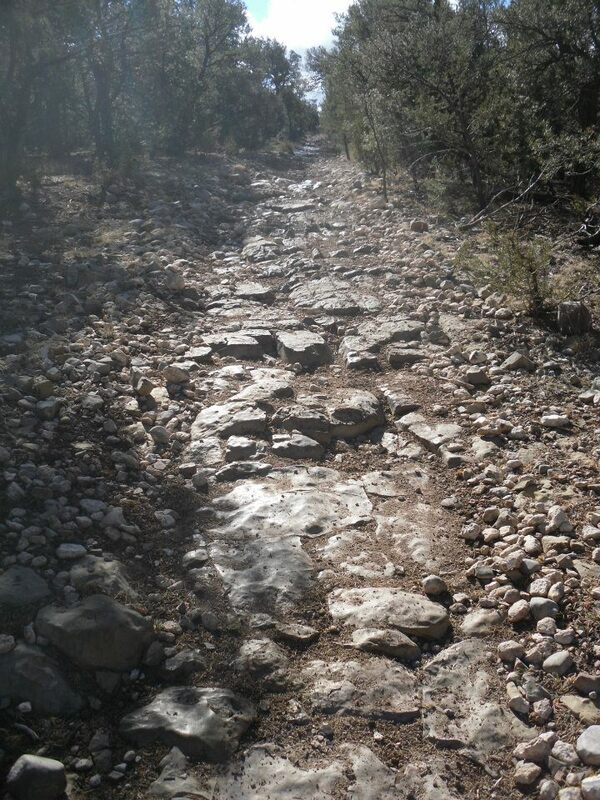 Then, you begin to climb back towards the finish and there are some brutally steep, albeit short, climbs that get you back up to the top of Cedro Peak before you drop back down to the next to last aid station at mile 32-33. The final 12 miles hurt a lot. There’s a good decent and then another steep climb up to the high point of the course just before the final aid station at 5 miles to go. I made it there but was pretty tired. I knew I would finish but was going to be just miss my goal of 7:30. However, I did manage to catch up to the guy in 4th at that aid station and although I was hurting, knew that he was as well. 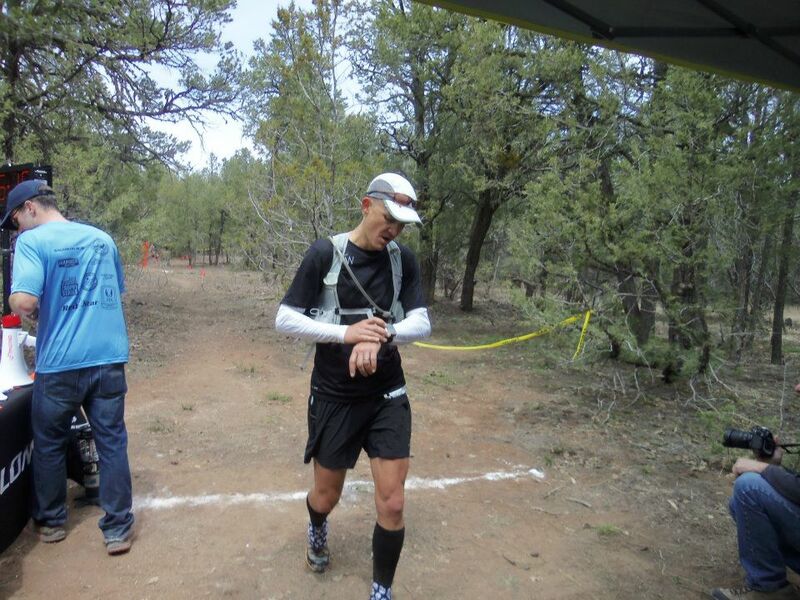 I passed him right after the aid station and then just gave it everything I had. I ended up putting about 3 minutes between us in the final 5 miles which felt good. It was a great day. I finished in 7:35. My buddy Nathan completed his first ultra by doing the 45k, and a friend from Kansas, Kodi Panzer, came in to do the 45 miler. Although the elevation was 6000’ higher than where she lives and trains, she managed to beat her goal time of 12 hours and finished her first ultra. Anna crewed for me and poured herself out to help me, Kodi and other racers throughout the day. I couldn’t do this fun running stuff without her. Thanks again to Jim for putting on a great race and for all those I met, Richard, Brennan, Jason, and the camera guy who’s brother’s name is Cliff!